We have a great selection of bare root, new season varieties available to purchase. Raspberries can be expensive to buy in the shops, but in the right conditions, they are easy to grow and taste delicious freshly picked from the garden. Raspberries are best grown from bare-root plants and can be planted any time during the dormant season, between November and March, providing the soil is not frozen or waterlogged. 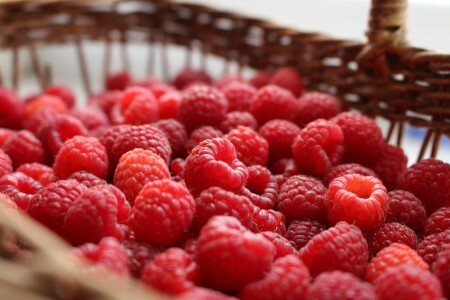 There are two types of Raspberry plants; Summer Fruiting, that fruit between June and early August and Autumn Fruiting, that fruit between August and October. Autumn Fruiting Raspberries are perfect for growing in containers as they don’t need supporting, so however small your outdoor space you can still ‘grow your own’ and enjoy the refreshing taste of home grown Raspberries. Try growing both summer and autumn-fruiting varieties for a supply of Raspberries from mid summer until mid autumn; just a few plants will reward you with plenty of fruit! Top Tip! If you end up with an abundance of fruit, Raspberries make wonderful jams, sauces and cooked desserts and also freeze well too! Previous Post: ‘Spectacular’ generosity for our Christmas Charity!